Chinese mobile carriers and Chinese e-commerce site Jingdong Mall (JD.com) have processed a combined total of about 20 million pre-orders for the iPhone 6 and 6 Plus since pre-orders began on October 10, reports Tencent (Google Translate, via Digitimes). The report notes that China's three biggest carriers including China Mobile, China Unicom, and China Telecom have processed over 10 million of those pre-orders, while JD.com states that it has received 9.5 million pre-orders for both devices. JD.com specifies that 4.7 million pre-orders are for the iPhone 6, while 4.8 million pre-orders are for the iPhone 6 Plus. The figures also do not include pre-orders accepted by Apple or its over 6,000 resellers in the country. Last Friday, it was reported that the three major Chinese carriers had taken one million iPhone 6 and 6 Plus pre-orders in the first six hours. Apple announced on September 22 that opening weekend sales for both devices topped ten million units, breaking the previous record of nine million units set by the iPhone 5s and iPhone 5c in 2013. 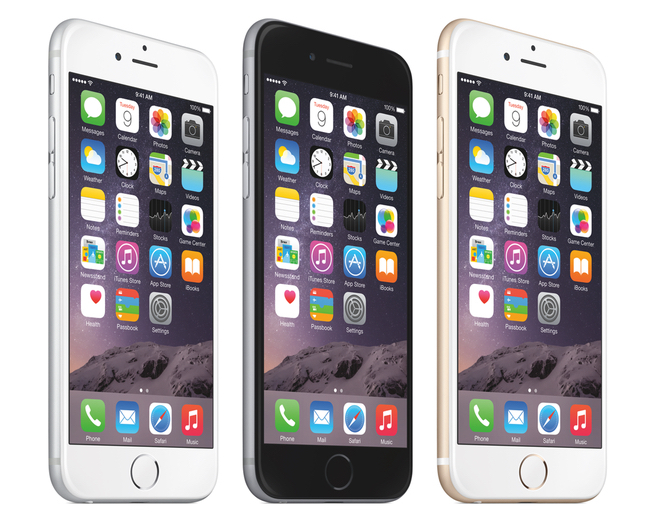 The iPhone 6 and 6 Plus will officially be available in China this Friday, October 17. Those are incredible numbers. I wonder what the total sales figure will be. At this rate Apple will have hit 1billion iPhone sales by mid-next year. I wonder what samedung copycats are saying? I still don't believe this phone actually exists. Apple is a global company. Each country gets a specific allocation in the roll out of a new product and pre-orders take a back seat to people who are willing to go to an Apple store and wait in line (and yes there are still lines daily when the new iPhone stock shows up). Imagine if you lived in a country where Apple did not even launch their new iPhone for 6 months after it released (like it used to be for many countries) -- you would just be really angry. Just relax and breathe. Your new iPhone will come and everything is going to be okay. While you are waiting you can buy some AAPL stock and if this keeps up it will pay for your iPhone when you sell it in 2015 after Apple announced the biggest holiday quarter ever. Apple has to be loving this. Man, they must be sitting at the cash register just going cha-ching! The 6 deserves it though. I have it and it is quite the phone so far. Think it is the best Apple has produced in my opinion.